Feldman Shepherd Wohlgelernter Tanner Weinstock Dodig LLP is proud to announce that Roberta “Bobbie” Pichini has been honored as a recipient of the 2014 Women of Distinction Award, which recognizes thirty-one of the area’s most dynamic women. Pichini will be presented with the award at the Philadelphia Business Journal’s Awards Program Dinner on Nov. 1 8 at Vie in Philadelphia. The Women of Distinction Awards are given each year to those who inspire growth and development through professional accomplishments and community involvement. Pichini focuses her practice exclusively on representing seriously injured infants, children and adults. She has been awarded the 2014 Justice Musmanno Award, the highest honor bestowed by the Philadelphia Trial Lawyers Association. She has been awarded the Sandra Day O’Connor Award by the Philadelphia Bar Association for professional excellence and advancing the role of women in the bar. The first woman in Pennsylvania to be invited into the prestigious International Academy of Trial Lawyers, Pichini was elected the organization’s first woman officer in 2003 and its first woman president in 2011. 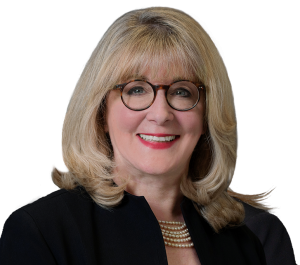 Pichini has been named a Pennsylvania Super Lawyer by Thomson Reuters each year that the award has been given; she has been recognized every year since 2007 as a Top 50 Pennsylvania Super Lawyer, and a Top 100 Philadelphia Super Lawyer. Ms. Pichini is an honors graduate of the University of Pennsylvania Hospital School of Nursing, Neumann University and Villanova University School of Law, where she earned the Order of the Coif honor. The Women of Distinction Awards Program will be held Nov. 18, 2014, at 5:00 p.m. All members of the business community are invited to attend. For more information, contact the Philadelphia Business Journal at 215-732-2256.